Gorgeous Gelato is where I tasted the best gelato in my life. 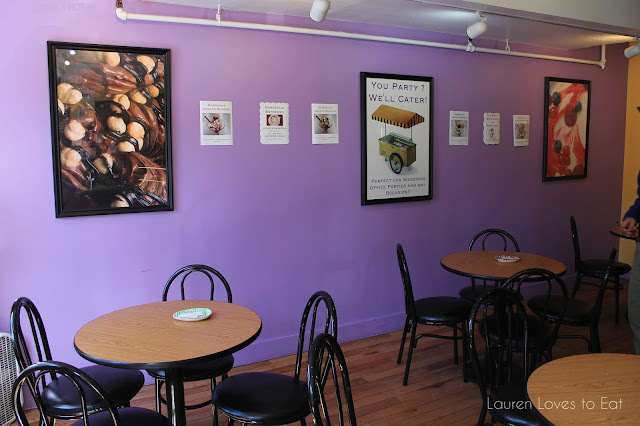 In 2009, a couple from Milan took a gelato making course, and then moved to Portland and opened up the shop. 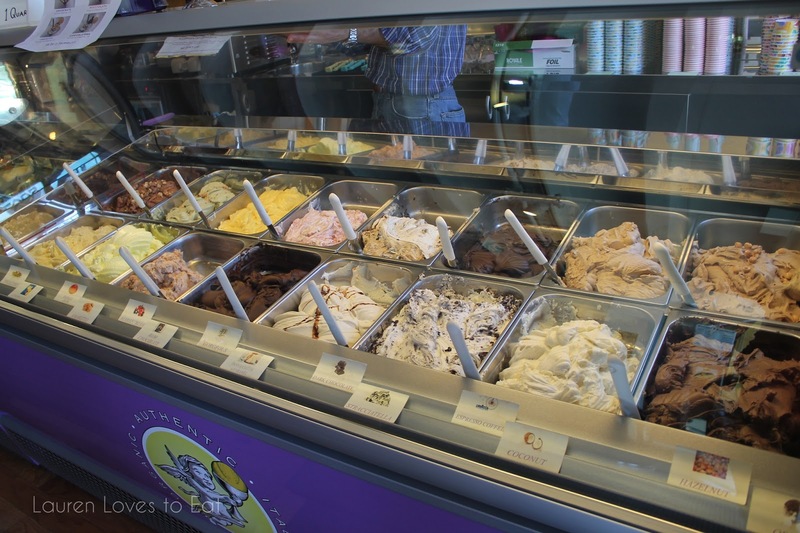 The organic gelato is made in house, and contains 70% less fat than American premium ice cream. The result? The most wonderful creamy and dense gelato. 18 flavors to choose from. The servers are very nice and encourage sampling! Affogato, $4.99: Espresso poured over 2 scoops of gelato, topped with fresh whipped cream. We went with the shop owner's recommendation of pistachio and gorgeous gelato. 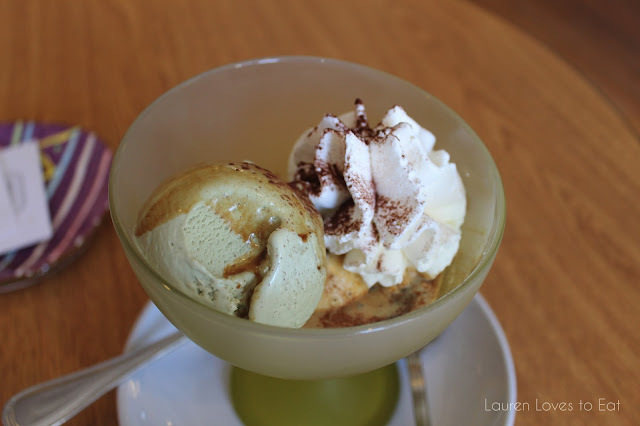 I don't usually like pistachio flavored ice cream/gelato, but this went amazingly with the espresso. 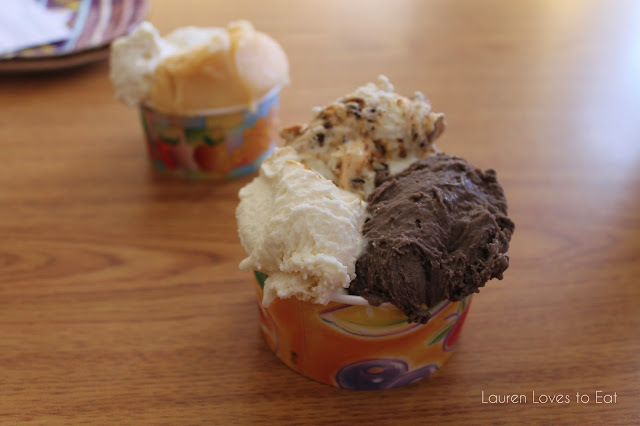 The shop's signature flavor is gorgeous gelato, which is sweet cream with chocolate chips and caramel swirls. It's pretty amazing. 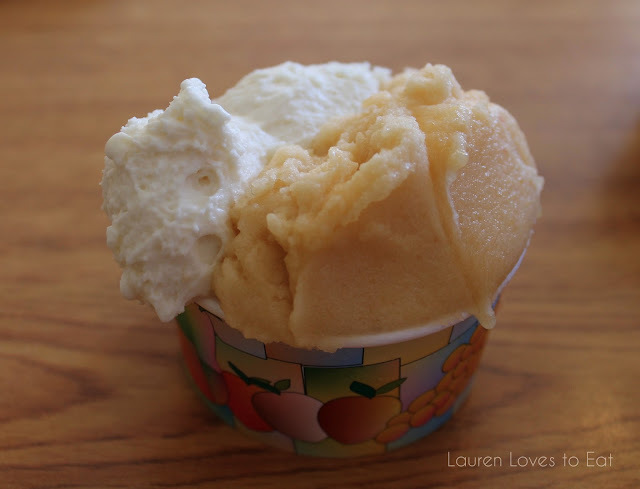 Small gelato, $3.69: Panna cotta and peach. For any sized cup, the shop allows you to select more than one flavor. If you order a small cone (surprisingly not made in house), there can only be one flavor. The panna cotta was incredibly milky and not too sweet. It complemented well with the citrusy peach. Medium gelato, $4.16: Panna cotta, gorgeous, oreo. I am a big fan of oreos. It's a staple topping for me every time I get frozen yoghurt (which is really far too often). Anyway, this oreo-flavored gelato was brilliant - it had such a strong oreo taste without overpowering the panna cotta and gorgeous flavors. Delicious. I love gelato! My favorite flavor is hazelnut, followed by pistachio. Their signature gorgeous gelato sounds lovely! My favorite is hazelnut too! There are way too many good flavors to choose from here.